These guys still the way to go if you want to coordinate registration numbers with your boat colors? I just got mine last week. I haven't put them on yet, but I'm like what I see. 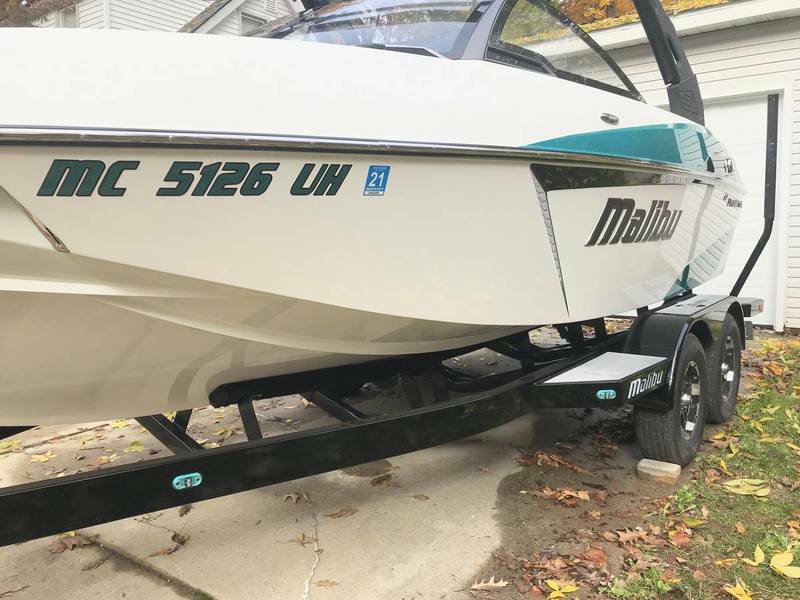 I went with the wakesetter font. 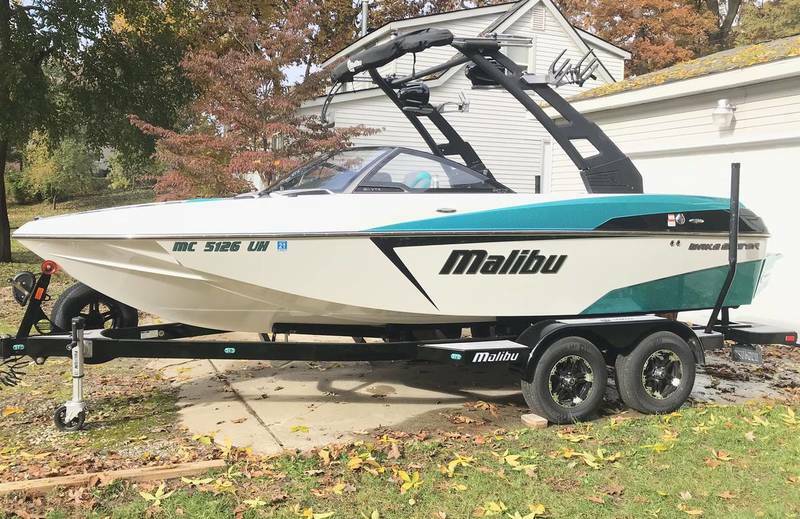 I ordered a "Malibu Boats" sticker in Malibu green for my tow vehicle too. 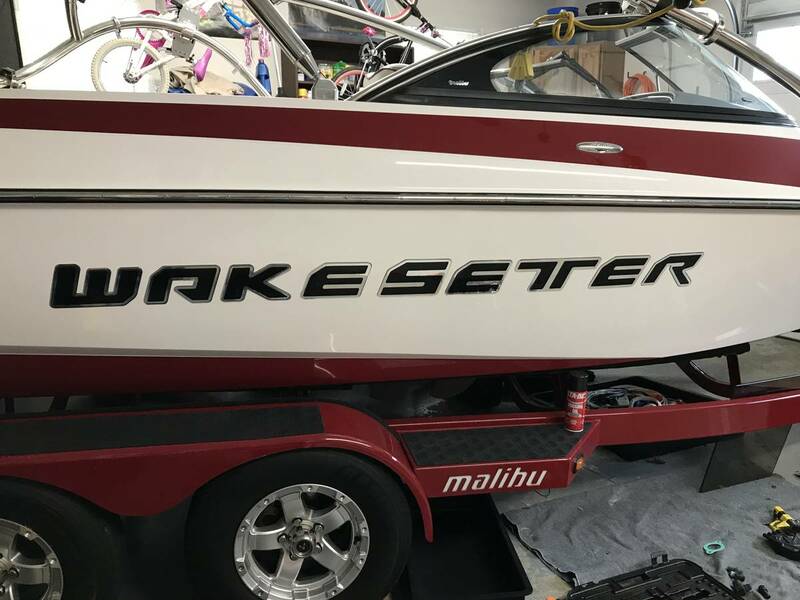 Yeah, the Wakesetter 2019 font is HERE. It says brushed steel and black chrome, but hopefully they have something to match my gunmetal graphite metallic. I haven’t put my numbers on yet (but I have them in the glove box at the moment). Has anyone in Texas/DFW had issues with law enforcement as a result of not having the numbers on? I am planning to put them on, but I am curious how strictly it is enforced. They are still the way to go. I am loyal because I ordered some red metal flake numbers and when they came, I thought that they were somewhat orange, rather than red. Without question, they sent me new numbers that were redder. Yeah they have amazing customer service. I had a similar issue and same experience. Good to hear. Poking around on their website, it looks like they have exact color matches. It's been a minute since I put stickers on our old boat. What is the process to get your registration numbers and ensure I don't have to pay for them twice...or does your dealer provide? You'll need to wait until you register the boat, then WSA will send a set to you that Todd cuts out on his vinyl machine. Then you can order from DN. Boat on many Texas Lakes, never in Dallas. Depends on who is patrolling the lake you are on. Game Warden will stop you and go through everything on your boat. I don't know how strict your local police are but it is different on every lake... Lake Conroe is probably the strictest one I have been on and will look for a reason to pull you over and write you a ticket with Lake Houston being very lient and waves as you pass by. I suppose I’m wondering if it’s the same as putting the front license plate on a vehicle—after 3 years in Dallas I’ve never felt compelled to drill holes in my front bumper and install the front license plate because law enforcement in Dallas doesn’t seem to enforce it. You’ll see 1 or 2 out of 10 cars without the front plate. Boat registration numbers are obviously different or more important, but I guess that’s where I’m coming from. Don’t know what to tell you. Some people follow the rules, some people don’t & make up their own. Domed is definitely the way to go. I have them on both boats and could not be happier. I'm not entirely legal by definition on either boat, but they look damn good. 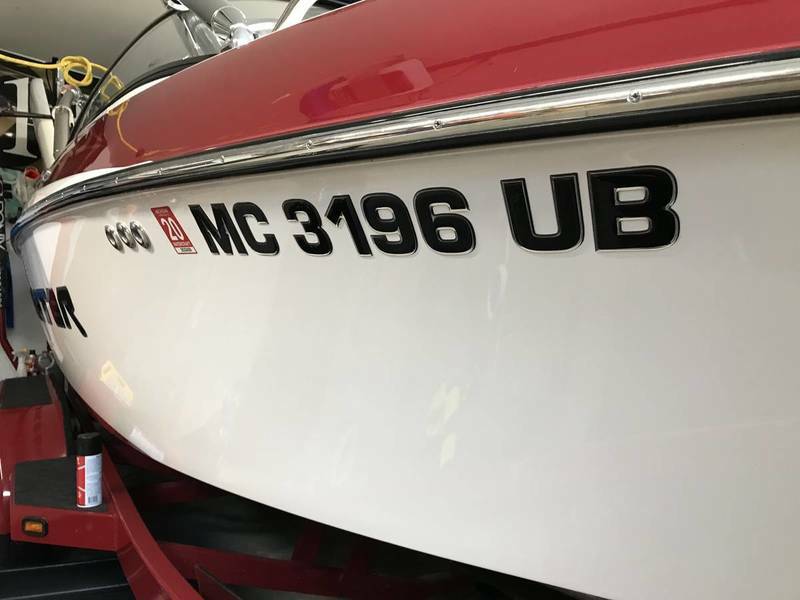 I may change the ones on the new boat, but I like how subtle it is now. Awesome, thanks buddy! I see they actually have a gunmetal graphite metallic color. I guess I would do that as the fill and outline in black. What color is the area for the numbers? I had a trip to another lake planned the week after I got my new boat in 2016. I called Domed and told them my situation as I too was worried about not having numbers, especially with a trip off my home lake planned. They rushed my order through and 2nd day air'd me numbers. Excellent customer service! Of course, some here may remember I ended up putting numbers above the rrubail instead of below. lol. Got excited they could match stratosphere blue and didn't think about ordering a color other than that, which couldn't be placed on my strato blue gel below my rubrail. I chose black/chrome instead of just black to give me more of a shiny black letter. then the chrome border highlights. However, that was for what I needed. @eubanks that solid black looks pretty sweet. ummmm well I'm sure it's the entire boat that looks sweet. Graphite Flake outline and azure flake fill! Thanks! I am thinking gunmetal graphite metallic fill with flat black outline.